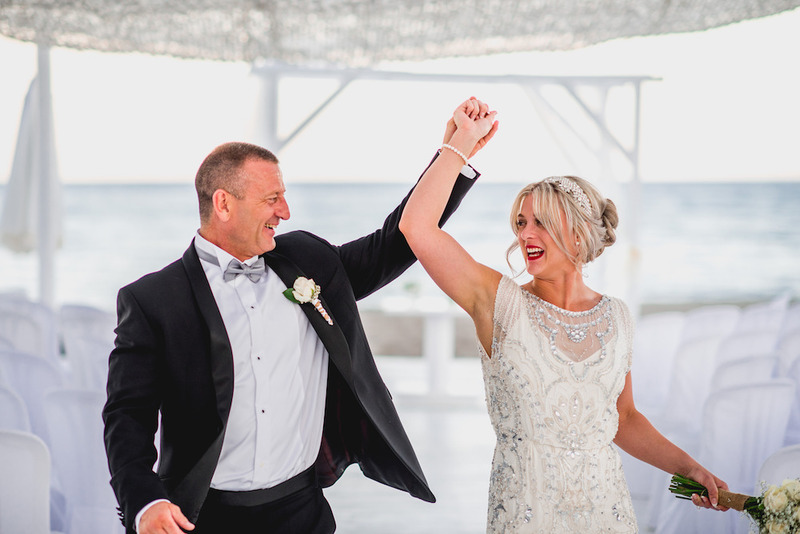 In Part One we met Liz and Neil who were about to say their vows at their beach wedding in Estepona Spain. Today we get to find out how their big day went and whether it was all they had hoped for. 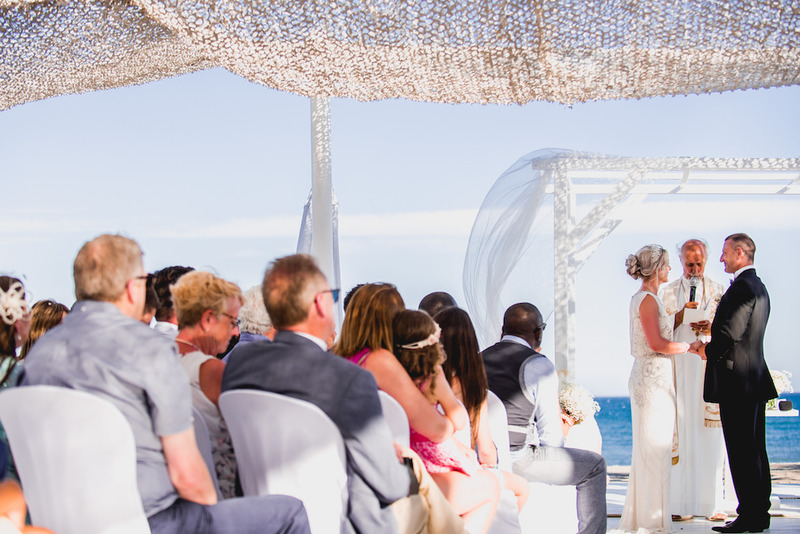 With most of the guests staying in Marbella, the Sunset Weddings Spain team organised taxis to transport everyone to the pre-wedding drinks reception, which was located in a bar close to the ceremony area. When the team knew that the bride was en route, all guests were escorted by the team of ushers to the beach, ready for the bride to make her grand entrance. Liz walked down the aisle on the arms of her brothers, Andy and Chris to ‘Tenerife Sea’ by Ed Sheeran, which only added to the emotion of the day. Padre Peter conducted the ceremony in his usual style – moving, personal with a sprinkling of humour. A few Spanish traditions were also incorporated into the ceremony. The couple drank a local sweet Spanish wine and Liz had to drop coins from her hand to Neil’s and then back again to symbolise their equality. While the newly weds took some time out with their amazingly talented destination wedding photographer, Barney Walters so that he could capture his breathtakingly beautiful beach shots of the couple, the guests enjoyed a drink reception around the pool with jazz on the sax while sipping champagne or sangria and sampling a selection of canapés. The couple arrived back in time to enjoy their sumptuous wedding breakfast and the start of their unforgettable evening reception. 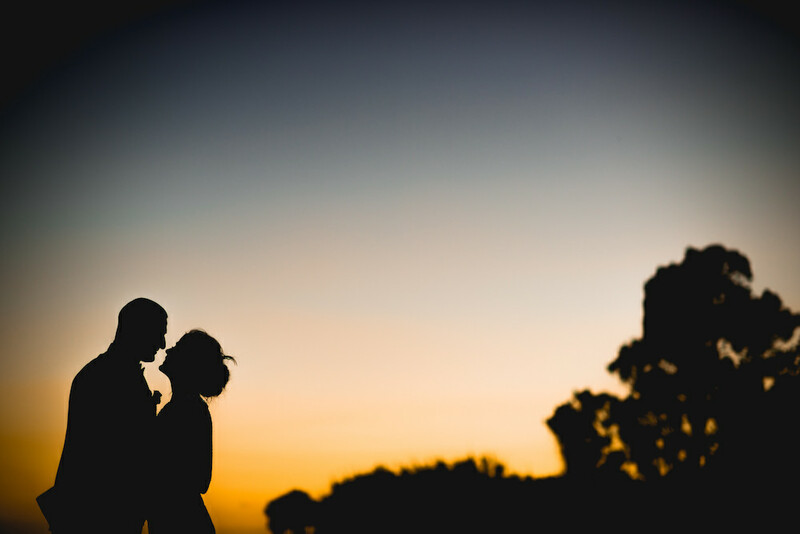 With the sun setting, they dinned in front of the pool taking in the incredible views. After the meal it was time for the speeches and the guests were left in stitches after hilarious antidotes from Neil and then best man, Drew. One of the highlights of the evening was so simple yet very effective. 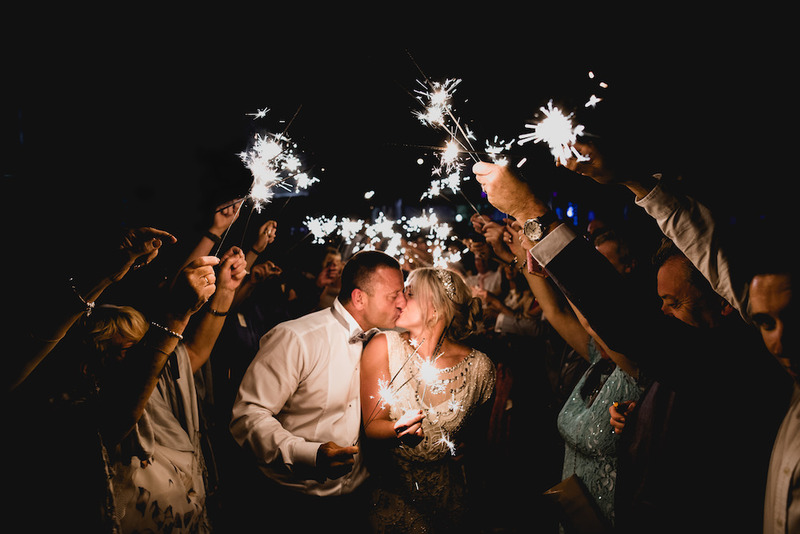 The guests all held up their sparklers to create a tunnel of light for the couple to walk through before they started their first dance to ‘You’ve Got the Love’ played by K-Miss. Liz and Neil then decided to go out with a bang, as confetti rockets exploded, showering the couple in gold stars. It wasn’t long before the dance floor was packed and everyone danced the night away.